Posted By:Unknown | At:11:23 PM Be the first to comment! Brandy and Monica has joined forces once again, but this time for the cover of Ebony magazine. The ladies definitely make a beautiful pair. They should definitely consider doing a duets album together. 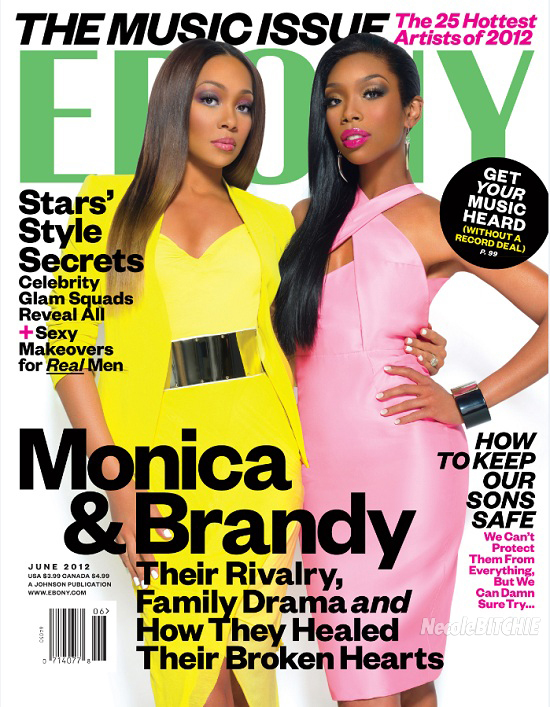 Is it just me, or is Monica really looking like La La Anthony with that weave?